hi guys, having trouble with fuel gauge. i will fill the car up to the top. then i notice as im driving the needle moves a bit at a time. sounded like my car was guzzlineg but wasnt. i was on nearly RED i filled up and only took 40ltrs. so just wanted to know if its my cluster (do the fuel gauge fix) or if its my sender? Sounds like my Calais, spat fuel at me and wouldn't take any more, jumped in and the guage only went to 3/4. Then it went down pretty quick, dropped to 1/4 after 100k's or so. Guess it's the sender, but maybe the guage is out of cal? Are the able to be calibrated? If not I'll go for the sender. Will look into the mod from this thread too, like the idea. yeh dats whats happening. im not sure whether it would be the dash or the sender.. anyone have any ideas? just thought i'd bump this thread as my fuel guage is dodgy too... When i go to fill it up, the nozzle clicks and wont fill up anymore, but when i drive away the fuel guage only reads 3/4 full! 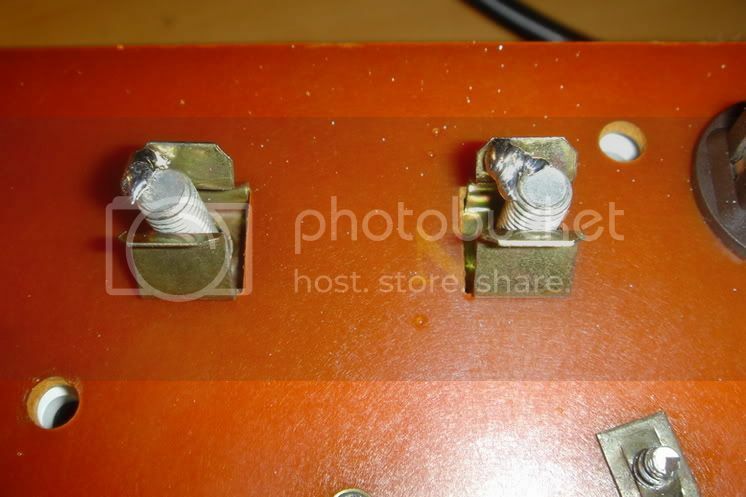 And also, the needle constantly drops down to zero and needs to be bashed to get it to respond, so i will try the soldering method, just wondering if that will also fix the other problem, or is a seperate way of fixing that??? Anyway, I managed to squeeze 55L into it once, and it started leaking at the seams by the time I got home. Sounds like your sender is fairly worn, marshal89. ok. well im going to try the soldering method today so stop the needle from dropping down. If it still doesnt fill past 3/4, is the fuel sender hard to replace??? does the tank need to be removed to do this??? Most likely. The fuel sender is fairly long, so it'd be easier if the tank was out. Otherwise you might have difficulty getting out past the panhard arm. Tanks are easy to tank out. Unplug the electrical connections, remove the rear right wheel and wheel well, unplug the vacuum lines from the filler neck and tank, then undo the straps (four bolts). Easy! only problem is that the speedo is really sluggish now, like it wont drop down when i slow down, and needs to be tapped in order to make it drop..im pretty sure it reads about 10km/hr too fast anyway.. any quick solutions? You could have damaged the spring when getting out the needle? either that or it's not sitting right. Take it off, give it a gentle twist, then place it on zero and gently push down. If all else fails go grab yourself a broken dash and steal the speedo part out. Doubt it. It would be one of the two mentioned in this thread. I done the Fuel Gauge soldering thingy, to no avail. I pulled out the sender and found that the float on the end of it had come off! Put in a new sender and its all good now. Just make sure when you put a new sender in, that it's back in its original position. If not, then you will get funny readings at the gauge. just because they steal a car doesnt mean there scum. Hey guys I did the solder mod today and it works a treat now, I didnt do the wire mod so if you dont want to pull the front of the cluster apart and possibly break your needles or fark your oil press. gauge then maybe you should just try the solder first. it only takes 10mins to get the cluster out again if it is still playing up. also this mod is basically for when your fuel gauge 'drops out' and you have to tap it for it to read again.... if its not reading full or its doing other crazy ****e then its more than likely your sender. thats just my 2 cents worth! do you mean just this step ? ok well i put it back together, i started the car and the truth is... the pin didnt move!!!!! i was shocked! then i gave it a good old tap and bang up to 3/4 of a tank! i turned the car off, cleaned up the tools, turned it back on and bang right back to 3/4! for my car to hit the same mark 4 times within 10 mins is just AMAZING!!!! The only gauges that worked on it were the tacho and volts. Anyway to cut to the chase I followed the guide to solder a new wire to the fuel gauge and found out that it still didnt work! Just thought id share that seeing that some people are still not getting a reading after fixing the sensor wire. Just did my brothers berlina and it was an instant fix.Great thread. i did this tonight and i must say it works much better. The fix worked for me, but now it only goes to 3/4 and drops to 1/4 after about 70k's. New sender her I come. That transisitor looking chip from memory powers the fuel and either (amps or temp), i spent many an hour looking for one. Mine had blown, cant buy them new, they are on the net somewhere, but getting them is another thing! The part that fixed mine was soldering that wire on the back. My fuel gauge's situation is much like Syk03L so yeah. Fingers crossed. didnt even know there was a fuel guage thread.problem with mine is that it says 3/4 when full and -1/4 past E when empty. guys got any ideas as to what is wrong?